Expert mobile app developers for all major platforms. 3+ years of experience in varies mobile app development. High-End UI Design for mobile applications. Advanced HTML5 and CSS3.0 based design and development. We have developed applications for all major mobile platforms. 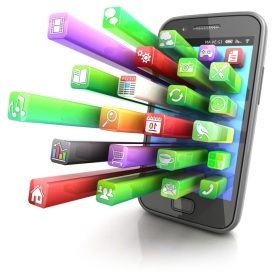 Our mobile development team has worked for clients belonging to diverse industry verticals. Business App, Games App, CRM & ERP Apps. Migrate from i-phone to Android, customised app development, cost effective solutions. Productive and Secure Windows Phone Apps. Apps targeting to wide variety of tablets. A Single CMS solutiuon for all apps/websites. Skilled web designers and state-of-the-art practices. You need a true business partner with the ability to add value to your brand. And We wont let you down. We create website that is attractive in design, easy to navigate, and quick to load across various operating systems and browsers, keeping in mind search engine guidelines and compliance with W3C standards. If you are looking for custom website design services in United States & India, then KenWebSoft is the right choice for you. We offer a one-stop solution for all your needs and collaborate with you right from inception to website design, development, and final implementation. Our web design services are much more than just enthralling and are aimed towards increasing traffic, generating leads and increasing revenue for your business.